Shape & Health is a weight management capsule manufactured in the USA by Bell Lifestyle. The company produces a large number of other health and wellness supplements including immune system boosters and stress relievers. Their products are stocked by over 7000 health food stores and pharmacies across the USA and Canada, but Shape & Health may not be one of the company’s more successful ventures because many online stores that stock other Bell Lifestyle products omit Shape & Health from their lineup. What is Shape & Health and How Does it Work? Bell Lifestyle markets Shape & Health based on the things they say it can do. No information is provided to back up any of the claims made, but the product appears to be primarily designed to speed up the metabolism and help control the appetite. When the metabolism increases the body burns calories faster than normal and may have to start burning fat when the amount of calories available grows short. Following a calorie controlled diet is one of the hardest parts of the dieting process, so if Shape & Health can help keep hunger under control the chances of dieting success should be increased. Bladderwrack extract: An ingredient derived from a species of seaweed. Bladderwrack is often added to diet supplements because it is known to be rich in Iodine. When people’s diets fail to provide a sufficient amount of iodine it can cause the thyroid gland to become less efficient and secrete fewer hormones than normal. Thyroid hormones help control the metabolism so a lack of iodine may cause the metabolism to become retarded and burn calories more slowly. This can lead to weight gain, so it is easy to see why iodine providing ingredients are sometimes added to weight loss supplements, but most people receive enough iodine from their food. Supplementation is seldom required. Guarana extract: A fruit extract that is often added to energy drinks because it contains caffeine. Guarana is popular with supplement manufacturers because people who are dieting often need an extra energy boost to help compensate for the reduced calorie intake the weight loss process requires. Caffeine is also a proven metabolism booster and fat burner that may further assist the weight loss process by helping to dull the appetite. Kelp extract: Another iodine providing ingredient. Wakame extract: A species of seaweed that provides fucoxanthin. Supplementation with fucoxanthin is believed to improve fat burning, but further study is necessary. Chromium picolinate: A mineral that helps to control blood sugar levels and may reduce the desire for sugary drinks and food. Potassium: Dieters who are eating less food than normal may not receive an adequate amount of potassium. This can lead to muscle fatigue and tiredness, so although potassium does not enhance weight loss it is, nevertheless, a valid inclusion. Vitamin B12: An important vitamin that is essential for a healthy nervous system and helps the body to release energy from food. Usage Instructions – Two capsules should be taken once per day with water. No other instructions are provided. No side effects are mentioned, but Shape & Health is unlikely to be suitable for pregnant or nursing mothers. People who have existing health issues, or are using medication, should always seek the advice of a health-care practitioner before taking supplements of any kind. Shape & Health can be purchased from the manufacturer’s website. Each bottle contains 90 capsules and carries a price tag of USD$ 24.95 (CAD$ 32). Customers living in Canada also need to pay a further USD$ 9.95 to cover shipping expenses, so the total cost of the product is likely to be closer to CAD$ 45. Bell Lifestyle offer a money back guarantee but fails to specify its duration. Although Shape & Health contains a few ingredients that may help support the weight loss process it seems probable the formulation will offer the most value to people who are iodine deficient and have gained weight due to a retarded metabolism. This will likely make it a hit or miss formulation that may work well for some people but provide littler or no benefit to others. The lack of inclusion rates is also a worry because there is no way of knowing if the ingredients used in the formulation are included in sufficient amounts. 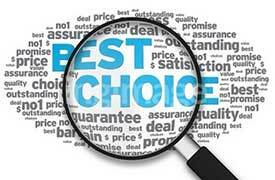 The presence of a money back guarantee builds a little confidence, but there are better options available. 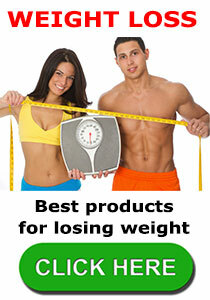 We review, rate and rank diet and weight loss based on criteria such as it’s efficacy, safety and customer feedback. We have designed our list of best diet pills – all products have clinically proven ingredients, have an impeccable safety record and can be purchased direct from the manufacturer. This entry was posted in Diet Products and tagged Shape & Health Canada by admin. Bookmark the permalink.